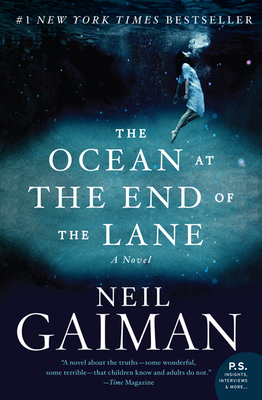 The Ocean at the End of the Lane by Neil Gaiman was an outstanding fantasy read. It was a dark tale that at times had me a bit frightened, but is such an incredible story that I read it in a couple of sittings. A middle-aged man heading to his home town for a funeral decides to drive by his old family home. The house is no longer the one that he remembers, but that doesn’t stop him from recalling the bizarre occurrences that happened the summer of his 7th year. The more he remembers the more he realizes that something dark was unleashed and that somehow his old friend Letty found a way to protect him. I am not typically a fantasy reader, but Gaiman’s writing is so eloquent and picturesque that I found myself loving this book. His characters were easy to relate to, even though we are hearing the story from a 7 year old perspective. It was easy to understand his feelings and why so much of what had happened to him alluded him. This was a fantastic read that will stay with you long after you have been have finished.